After installing Windows Vista Enterprise Edition, I very quickly wanted to get back to FreeBSD. As per previous versions of Windows, Vista does a great job of overwriting the Master boot record (MBR). Unlike previous versions of windows, you cannot just install a different boot loader in the MBR – so I found out the hard way. (It used to be sooo easy fdisk /mbr would fix any broken boot sectors, then just install your favourite boot loader). Vista writes a unique disk id in the MBR. This unique id (UID) is used by Vista to determine what disk is what. It does make some sense, Hardware can shift around, but the UID should always be the same. This allows Vista to always know where it’s files are and to appropriate label drive C: as the correct drive. The error message is semi appropriate but very misleading. What it really should say is “I can’t work out which of my the drives has my files on it hence I can’t find winload.exe”. Out on the web there is many solutions to the dreaded winload.exe. Many of them are misleading, some I believe are not even tested. Also many apply to Vista Release Candidate 1 (rc1) which I believe didn’t required the UID to be present in order to successfully boot. Below is some of the solutions that people say work (but Ifound didn’t). will work – but grub still over writes the MBR hence the same issue will occur – though you may be lucky as the grub MBR is really small (and might leave the UID) untouched. 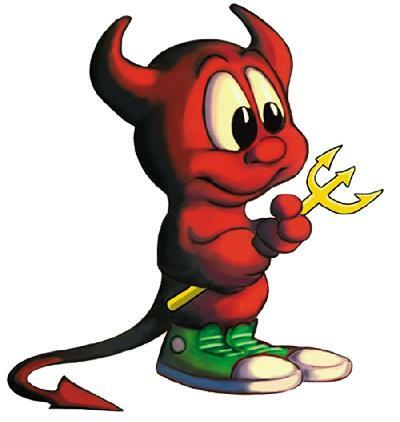 There’s reports on a FreeBSD mailing list that gag will work, thought I’m running FreeBSD/amd64 which gag or grub for that matter won’t compile on. I know I could always install the lib32 compatability distribution to use it but I wanted the default FreeBSD boot loader. Many people have given up on trying to use a normal boot loader, and instead use the Vista boot loader. The WinXP/NT bootloader (ntldr & config file boot.ini) have been replaced with files winboot.exe and bcedit.exefor configuration. Theses commands could be setup to boot other operating systems though your milege may vary. There is many utilities that claim to fix the issue. One such util is MBRFix.exe, this fixes the fact that vista won’t boot but it will clobber any boot loader you have got installed. This can be run from either the Vista repair cd, from within Vista, or from something likehttp://www.ultimatebootcd.com (For Windows). Hence it IS possible to run Vista with any boot loader that you like – in my case the FreeBSD boot loader is the one of choice. I was getting the winlogon.exe not found error after installing PC-BSD with the BSD boot loader. I was in the process of checking your fix. I booted from the Vista CD and chose the REPAIR option. It automatically identified an error in startup (partition not found). I opted to have it automatically correct the problem. After just a moment it asked that I reboot and then allowed me to boot into my Vista partition. It did keep the BSD boot loader in place and functioning. Worked perfectly, Vista on drive0 FreeBSD 7.1 on drive1. If I use EasyBCD and put the boot manager on the XP disks, then I can boot to XP, but Vista does not even show up in the boot menu. I’ve wasted way to much time on this already and need to get it working ASAP and move on. FYI – The PCIe1 card takes priority over the PCI card. It shows both during the boot up if I just have the XP array hooked up, but if I have it running Vista, the PCI/IDE card does not show up at all in the boot process. Since the pcie card is always found first you must put the boot loader on that disk. I think the problem may be related to how windows detects disks. Chances are your XP install is on your PCIHDD drive that XP considers to be C: however vista believes the PCIEXHDD drive is C:. I’d say that the the problem may be resolved by making sure that XP has drivers for the PCIEX card at installation time. This way XP will probe the drives in order and consider it’s PCIHDD to be D: not C:. This hopefully will allow it to resolve it’s drives correctly at boot. I am using the BCDedit.exe and the other utilities that I mentioned for editing & managing the (Vista) boot process on the Vista HDDs as when I try to do it on the XP drives, I am unable to edit with the Vista Boot manager/Utilities/files etc. When I load the drivers for the PCIe during the XP install, I utilize the XP *.Inf file and it recognizes it just fine. When I load both of the drivers during teh Vista install, the most recent one is Windows 2003, which is working just fine for the PCIe card. The PCIe card is a HighPoint Rocket RAID 2300. THe PCI card is a Silicon Image Sil 0680R ATA-133 Medley RAID Controller. Thus both RAID cards are recognized and work just fine once I am into both XP & Vista. I have what you suggested covered and implemented but alas it doesn’t work. By not having the Vista HDD’s plugged in whilst installing XP, XP cannont enumerate those drives at install time – despite the fact you have the drivers loaded. Though Admittedly I’m guessing here. http://discussions.hardwarecentral.com/showthread.php?t=167275 seems to indicate that ntldr & ntdetect.com play a role in things not working. Have you tried changing the boot order in bios? It’s possible this will reorder your drives allowing XP to boot. I have tried pretty well everything that you suggested Benjamin without success before I read your reply. Except for these: Inputting the 3 BSD commands below in a DOS window with administrative privileges within Windows results in the first command being accepted OK, but I get an error message for the second and third ones and it doesn’t accept them. Sorry I’m out of ideas, if you do manage to work it out, please let me know as I’m interested in a working solution. Thanks, I was able to get my system going. In my case, I had installed FreeBSD and then installed Vista. I used easybcd to get back to FreeBSD. For a lark I installed boot0mgr. Attempting to reboot into Vista brought me here via google. Anyway, for whatever reason, I too got errors when trying to run the BCDEDIT commands. I suspect it is because of EasyBCD. I found out the default BCD store is C:\boot\bcd. I added this to the above commands and successfully repaired Vista. Thanks for the handy guide! I was never able to ‘resurrect’ Vista to boot directly to it and ended up reinstalling it. Hey, My HDD are mirrored arrays so why can’t I boot of at least one of them that I have confirmation of access and functionality from another OS. So, I know the hardware is OK, but when the boot software is all messed up, it renders it a moot point. This INCLUDES the BOOT software in some form or other: be it an OffLine mirrored HDD or an emergency repair disk. My BIOS has a Boot menu that doesn’t care what Vista does or doesn’t do to boot to any OS. Though it is a little inconvenient in that it defaults to (Re)Boot to Vista and not the other OS that I am on now and I can’t change this. But this is the lesser of the two evils and I can live with this minor inconvenience in this environment but that ensures that I can still get up and running even if Vista (32) can’t boot to anything anymore. I’m not ‘gun shy’ about using multiple boot software. I’ve used them successfully for many years. But this way I’ve completely bypassed any such problems that will most likely and inevitably happen again at some point in time. *These ARE still computers after all! It used to take rebooting several times a day to get a full days work out of them. Happily not anymore. At least PC/Macs etc have finally got to the point where they have enough Hardware capacity that we can actually do something useful such as utilizing great GUI interface and multi-task effectively with them now.